” Oops, An Embarrassing Moment” is a writing prompt I have given my writers from time to time. It’s brought in a range of stories from the modestly funny, toilet-paper-stuck-to-your-shoe variety to the truly heart-stopping. (More coming about that in a later post). Here is my own entry in the “embarrassing moment” category. Try this writing prompt yourself! The year might be 1970. I am 13? 14? and it is late summer, late in the afternoon. I am playing at my friend Janet’s house across the street from my home, The phone rings. “We want you to come home right now.” My mother’s voice, with an edge more stern than usual. “I’ll come home in twenty minutes. We have some Creepy Crawlers still in the oven.” You mixed up a goo, spooned it into molds shaped like bugs and worms, then baked to create inedible gross fun creatures. I ran out the door and across the streets that forked in front of my house, wondering what was the panic. I had a feeling I knew. Had they found the teacup full of marijuana leaves I had been collecting? It was far in the back of my closet—how had they come across it? I had been pursuing marijuana for some time by then, unsuccessfully. Ever since I’d read about the drug culture, the hippies, the flower children in my Weekly Scholastic magazines, ever since I’d begun to see the colorful and parent-scaring images on the news, I’d wanted to be hooked. I brought up the subject of purchasing drugs with any reasonably freaky-looking school mate, if shyness didn’t stop me. But no luck. Even the kids who hung out at the edge of the school campus smoking cigarettes and you KNOW they were smoking grass too – no go. Then one evening that summer, when my mother and I were taking a walk down our street after dinner, she spotted something growing around a neighbor’s porch. I looked closely. 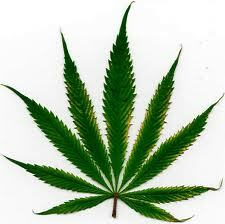 There was a tall plant sporting the 5-pointed leaf – straight out of the Drug Education pamphlets from school. Our neighbor happened to be out on his porch. “Yes, that’s marijuana,” he replied, overhearing my mother. “I grow it for my canaries. It makes them sing.” I kept quiet but my heart was leaping. Marijuana! I entered my front door and found my parents in my little bedroom. My mother held a baggie. My father was drawing on his pipe. “Is this marijuana?” my mother asked. “Is this marijuana?” my father asked, between puffs. The baggie in her hand was plump—it was NOT my slim marijuana leaf collection. I recognized it as the catnip I’d been using to make mice for the church bazaar. “NO!” I said, mustering all the righteous indignation of the unjustly accused. I pointed out to my parents the sewing materials and the little felt mice on my worktable, right next to where I had left the suspected baggie. I explained my innocent and Godly pastime. My father sheepishly put his pipe down, and my mother switched from stern disciplinarian to apologetic mother. I ushered them out of the bedroom and closed the door firmly to close the scene. WHY WAS MY FATHER SMOKING IT? This entry was posted in Sarah's memoir, Writing prompt and tagged 1970s, Carmel, drugs. Bookmark the permalink.